The seminal series by Christopher Priest and M.D. Bright collected in its entirety for the very first time – with more than 50 pages of extras and bonus material! Sometimes the best friends make the worst partners. Once inseparable, childhood friends Eric Henderson and Woody Van Chelton haven’t seen each other in years. Reunited by the mysterious deaths of their research scientist fathers, the unlikely duo find themselves stuck together all over again when a catastrophic lab accident transforms their bodies into pure energy – energy that will completely dissipate if they don’t “klang!” their control bands together every 24 hours! 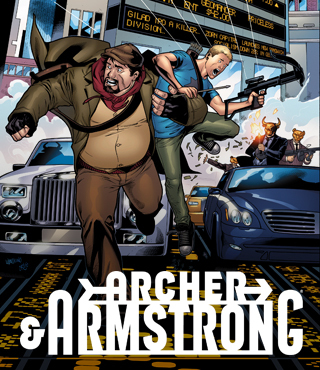 Now, armed with an array of high tech gadgets…and two horribly mismatched personalities…and a goat for a sidekick…this pair of misfits has has decided to set the world straight as the world’s worst superhero team, Quantum and Woody…if they can manage to quit fighting each other first. 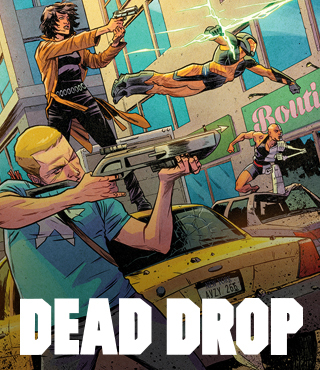 Now, for the first time in one complete volume, discover the defining masterwork of legendary creators Christopher Priest (Black Panther, Deadpool) and M.D. 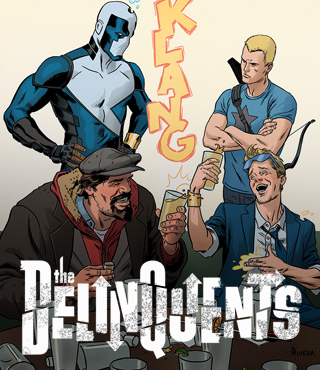 Bright (Green Lantern, Iron Man) as the complete, classic Quantum and Woody gets the deluxe oversized omnibus treatment! Collecting QUANTUM AND WOODY (1997) #0, 1–21 and #32, THE GOAT: H.A.E.D.U.S. 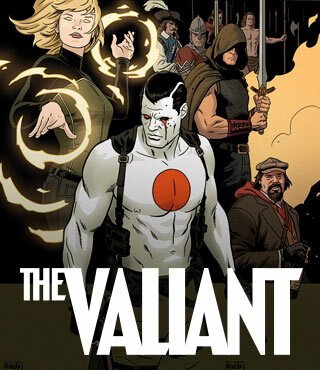 #1, and X-O MANOWAR (1996) #16 (guest-starring Quantum and Woody), as well as the original backup stories from the QUANTUM AND WOODY trade paperback collections, and the never-before-collected story “Thunk,” along with rarely seen sketches, character designs and process art from inside the Valiant vaults!